Senator Elizabeth Warren tonight with a new apology over a claim over her heritage. It comes after “The Washington post” published a document from 1986 in which Warren identified her race as American Indian. And the apology comes just days before she’s set to kick off her presidential campaign. Mary Bruce on the hill tonight. Reporter: Dogged by criticism for her claims of native American heritage, tonight, democratic senator Elizabeth Warren says she’s sorry. It is about an apology from the heart. And apology for not being more sensitive to tribal citizenship and tribal sovereignty. Reporter: The 2020 presidential hopeful is again facing backlash after “The Washington post” published her 1986 Texas bar registration card. There, under race, Warren listed herself as American Indian. It was based on my understanding from my family’s stories, but family stories are not the same as tribal citizen ship. 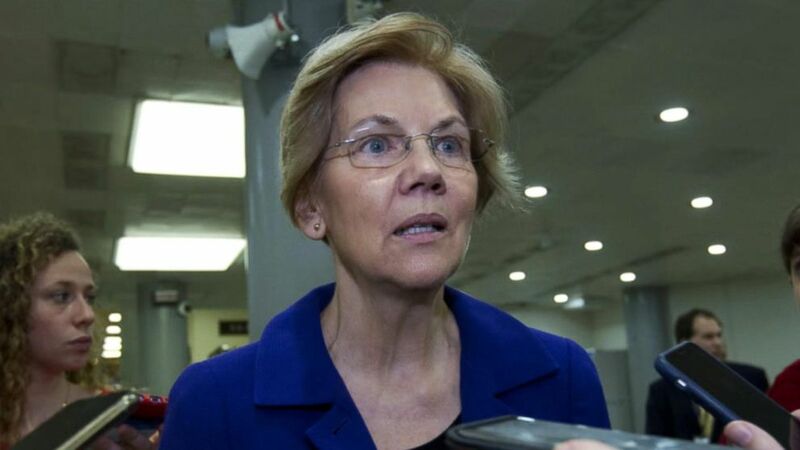 Reporter: Warren insists there’s no evidence her claims ever advanced her career, but president trump has long mocked Warren, relishing his nickname for her. Pocahontas. Pocahontas. Reporter: In October, Warren tried to take on trump by taking a DNA test. What are the facts? The facts suggest that you absolutely have a native American ancestor in your pedigree. Reporter: She was told she had an ancestor in the range of six to ten generations ago. The controversy still lingering as Warren is set to launch her campaign this weekend. Are you considering dropping out of the race? No answer on that, but Elizabeth Warren and the apology taez. Mary Bruce with us from capitol hill. There is also news tonight, we’re awaiting two others who could join this democratic field? Reporter: Yeah, David. Beto O’rourke, whose senate race catapulted him to national prominence, was pressed by Oprah Winfrey, and he said he will make a decision by the end of this month. And Amy klobuchar is set to unveil her 2020 plans on Sunday. David, she could become the fifth female member of congress to jump in the race. Growing field. Mary Bruce with us tonight. Thank you, Mary.